Spanish for ‘the nest’, El Nido is the base for exploring the fabulous Bacuit Archipelago. The town is sandwiched between towering limestone cliffs and Bacuit Bay, and is cluttered with buildings that creep onto the beach. Centre stage, however, is the looming Maosonan Island just offshore Sibaltan, an hour drive away from the town of El Nido. A short intro about El Nido: Imagine a tropical paradise in the northern part of Palawan in the Philippines, hour and a half flight away from Manila. The place is famous for its white sandy beaches and turquoise waters. 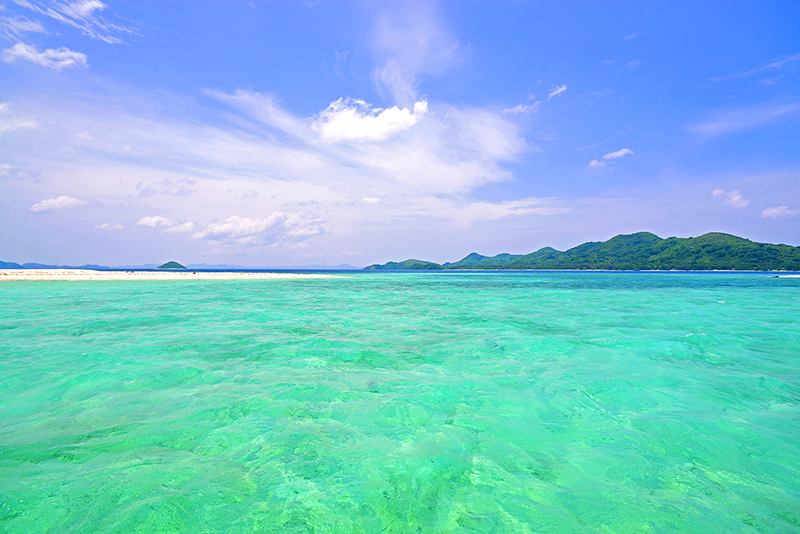 Some say El Nido is the hidden gem of the Philippines, and even more beautiful than the famous paradise of Boracay. 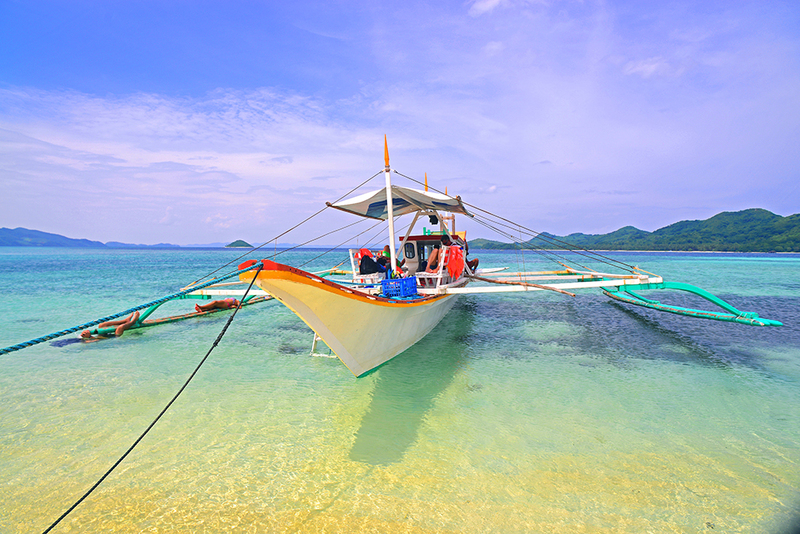 The small town of El Nido is also accessible from the main town of Puerto Princessa. With keeping a tight budget, sometimes the cheapest and best option is to fly to Puerto Princessa from Manila and then to travel by jeepney or a minian to the coastal town. With many parts of the road still under construction, the journey will lead through small villages and dusty roads, filled with happy kids, barking dogs and kettle. The coast of the town itself doesn’t sparkle with anything other than colourful fishing boats and hardworking ladies who go out in the morning, with rolled sleeves, and wash their clothes in the bubbly waters of the crashing waves. BUT HOW THE ONCE SLEEPY TOWN OF EL NIDO BECAME THE GATEWAY TO ASIA’S MOST BEAUTIFUL NATURAL TREASURE: THE BACUIT ARCHIPELAGO? In the late 90′s the place became a popular tourist destination for its surroundings – endless white sandy beaches, extraordinary diving opportunities, steep limestone cliffs, remote islands and turquoise waters. 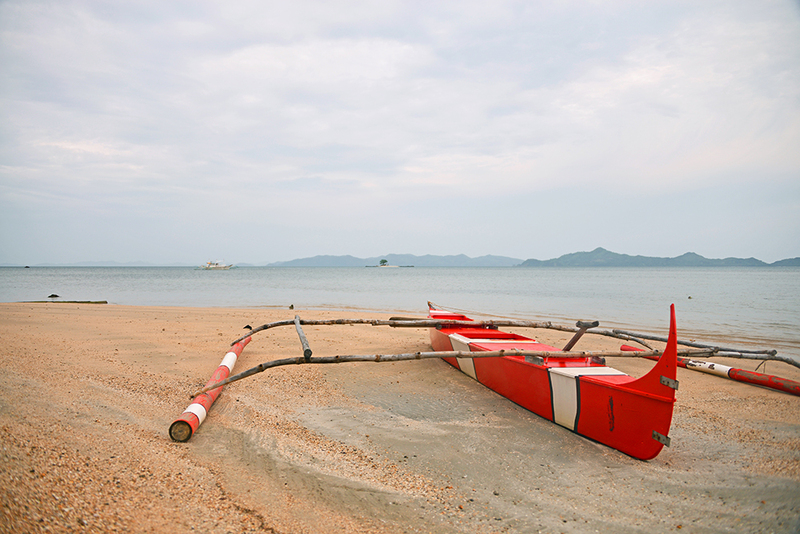 To experience the local culture at its best, I recommend you travel north from El Nido to the remote town of Sibaltan. Not only you will experience living with the locals, but you will have the opportunity to discover breathtaking places, away from the crowded tours in the main city. 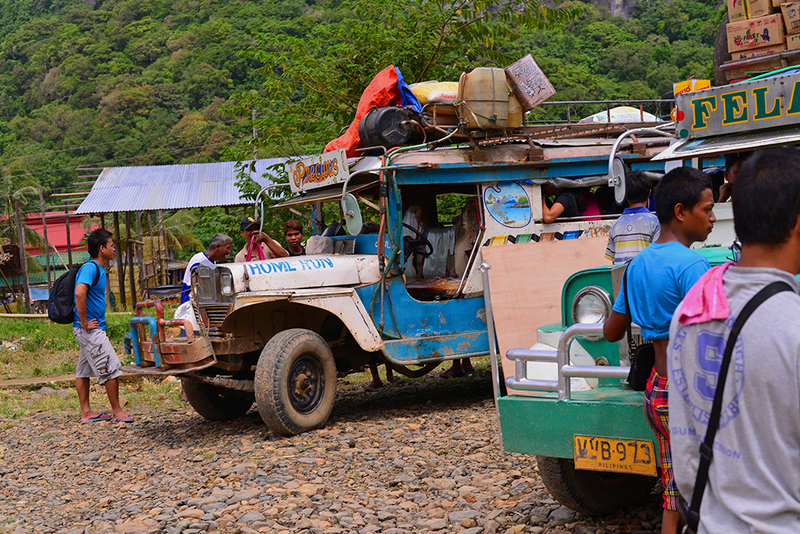 Being the most important sightseeing in Palawan, island hoping is an integral part when touring El Nido. You will have few choices of island hopping tours and each of them visit different places. 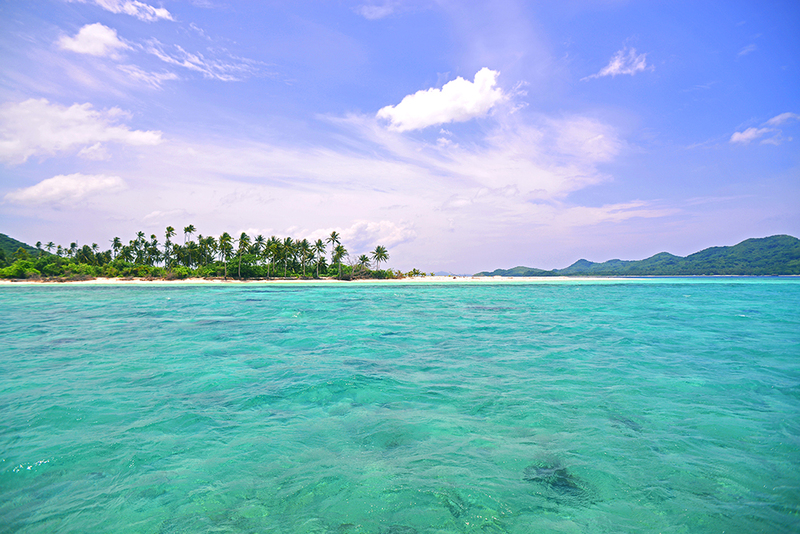 The locals call them TOUR A, B, C and D. But with the rise of prices for island hopping (around $50 USD as of 2014) you may want to skip the queue and head over to Tapik Beach Park instead. The resort is secluded on a private beach, near a town called Sibaltan. Here in this small town, that more resembles a countryside village, you will find really cheap food and drinks. Don’t expect too much as most of the families doesn’t have electricity and many of the family own shops doesn’t have refrigerators. But being in this surrounding you will be able to sail out in the archipelago with no one else around, just the corals, sharks and puffer fish. Additionally, you can go fishing, to explore the small island just opposite the coast or to explore the near by mangrove with fireflies and neon plankton. During our stay there we sailed out to Maosonan island, a remote island an hour away from the main coast. We had the island for ourselves and enjoyed a hearty lunch of fresh fish and vegetables on the beach. If you are enthusiastic enough and don’t mind spending a bit more, you can even camp on the island. There are chances you can get scammed while trying to get to Sibaltan (Tapik Beach Park). Some tour operators and hotel staff may insist that there is no public transport going there and will offer you to rent a private minibus. To avoid paying more, rent a trycicle and head to El Nido Bus Terminal. There you will be able to catch the public transport to the beach park. There are minivans travelling each day and the cost of the ticket is only $1.50 USD. When you get to the bus terminal ask around for Tapik Beach Park minivan. The place is truly breathtaking with the sights of the glowing plankton that spreads shine every time it is touched, the quiet beauty of the fireflies spreading calming light in the dark mangrove and the fast paced underwater life. I’m planning to go to palawan next year and I would like to see this place of town Sibaltan. Without your info I wouldn’t have known about it and see the beauty of it. Do you know if there’s accommodation near by and if so is it safe. If you can provide advice that would be great. Thanks heaps. I’ll put it in my ‘must visit list’. I am happy that you found this article helpful. 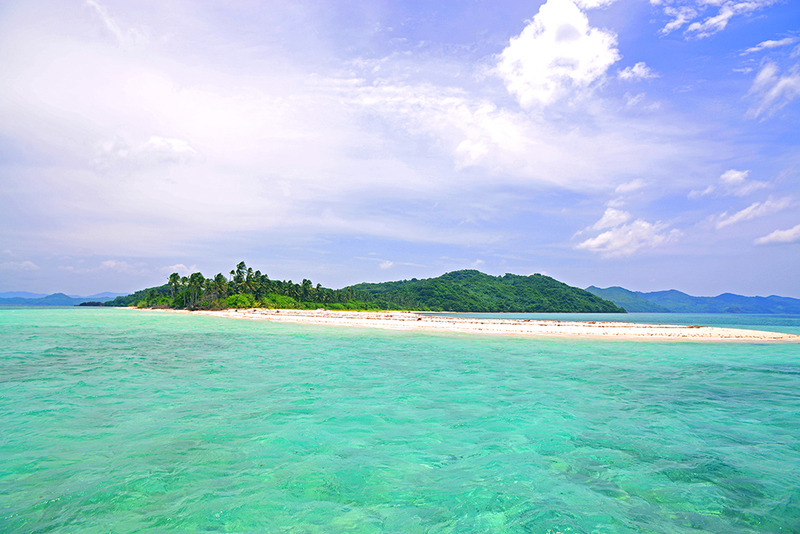 If you want to visit Sibaltan, the only option for accommodation would be Tapik Beach Park. The place is new and well maintained. There are few bungalows with attached bathroom and few with shared one. If you travel on budget you may want to consider the dorm. You can also use your own tent and pay a little fee for camping there. The place is safe, on a secluded beach near the town. Randomly stumbled upon Tapik beach while Googling secluded beaches in El Nido a month ago. Loved the idea of the simple, un-touristy things I can do there so I already booked and I’m going there next year and I caaaaan’t waiiit!!! Looking forward to the firefly watching and the neon plankton, should be awesome How many days did you stay? You will love the whole experience! Although the resort was always full (it is quite famous among the backpackers) the atmosphere was really relaxed and cool. All the people that stayed there were really fun and cool and the staff at the resort are really great! Definitely go for the firefly watching! Originally we booked only two days, but we extended our stay with few more. Actually all the people that stayed in the resort during the same time, extended their stay. 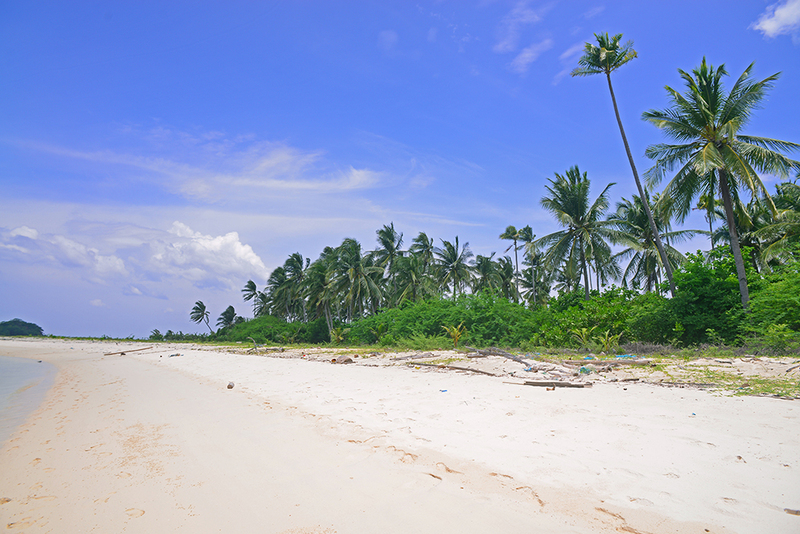 The prices for the accommodation vary between $14 (for a tent) and $50 for a beach villa. Mind that the prices also depend on the season. All of the rooms looked nice and were comfortable so it doesn’t really matter which type of accommodation you will book). The main difference is that in the beach villa you get your own bathroom while in all other types of accommodation you have to share the bathroom with the other guests of the resort. You can check the prices online for more accuracy.